Golf pro, Paul Azinger, was born on January 6, 1960 in Holyoke, Massachusetts. Azinger spent almost 300 weeks in the top-10 of the Official World Golf Rankings between 1988 and 1994. 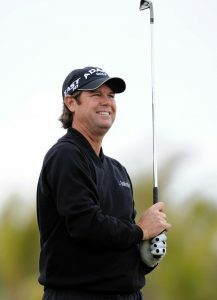 Azinger moved down to Sarasota, Florida where he attended and graduated from Sarasota High School. After graduating from Brevard Community College, he attended Florida State University and turned professional in 1981. He finished one shot behind the winner Nick Faldo in the 1987 Open Championship. 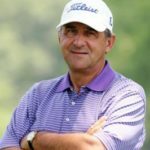 He won eleven tournaments on the PGA Tour in seven seasons from 1987 to 1993, climaxing in his one major title, the 1993 PGA Championship. He was subsequently diagnosed with non-Hodgkin lymphoma. 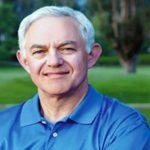 He wrote a book called Zinger about his battle with the disease and was the recipient of GWAA Ben Hogan Award in 1995, given to the individual who has continued to be active in golf despite physical handicap or serious illness. 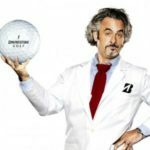 In 2000, he won his first tournament in seven seasons at the Sony Open in Hawaii. 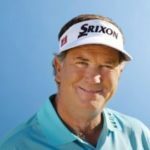 Azinger is also an avid poker player and competed in the main event at both the 2006 World Series of Poker and the 2008 World Series of Poker. Azinger gave the eulogy at the memorial service for friend Payne Stewart. After being named the U.S. Ryder Cup captain for the 2008 event at Valhalla Golf Club in Louisville, Azinger led the U.S. team to its first victory over the European squad since 1999. Azinger threw out the ceremonial first pitch at the Tampa Bay Rays’ second ever playoff game on October 3, 2008. Paul Azinger is a Christian and currently lives with his wife, Toni, and daughter, Josie Lynn, in Bradenton, Florida.